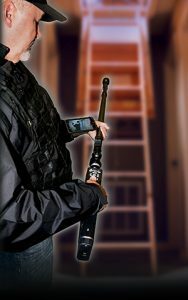 For victim location operations… details could be the difference between life and death. The Dual Mode Thermal Camera allows the operator to instantly switch between remote thermal imaging and low-light, high resolution B&W video. Its built-in infrared illumination and slim 1.8” (46mm) diameter, as well as its rugged, weather-resistant design make it ideal for rescue missions. The camera housing incorporates audio listening capability. *Please contact us regarding Int’l Export Regulations for this product. 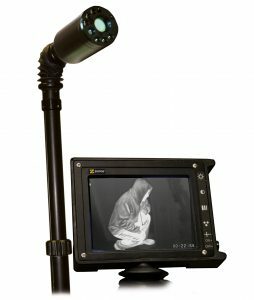 The ExplorerSCOPE™ is compact, self-contained, 4-way articulating video scope with excellent low-light performance, that can generate images of objects and individuals as far as 40+ feet (12 M) away in pitch darkness. It’s a rapidly-deployable search camera system that can be inserted through openings as small as 10mm in diameter to look for victims following a collapse. 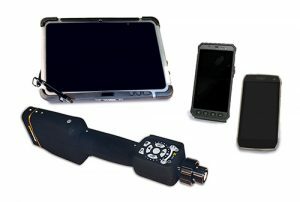 The unique features of the ExplorerSCOPE translate into a faster search operation which can save lives in time-critical rescue situations. The Talkback Audio Module enables rescue personnel to detect faint sounds of trapped victims in life-critical situations. It provides 2-way communication between the rescue team and a trapped victim. It incorporates an omni-directional microphone and an audio processor circuit to amplify low-level sounds and compress high-level sounds. The audio module has a weather-resistant enclosure and rugged, well-padded headphones. 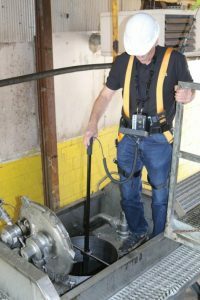 The Rescue Reel facilitates victim location and extrication by providing video and audio access into long vertical drops such as elevator shafts, wells, etc. 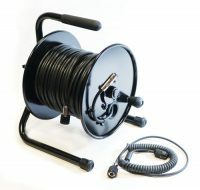 It’s 166 feet (50M) of ultra low-loss video and audio signal cable spooled onto one portable, compact and extremely rugged reel. The Rescue Reel can also be used to connect a second display. Come visit us at ASSE 2018, Booth #434 for a look at some of our NEW confined space safety products. The show is being held at the Henry B. Gonzalez Convention Center located at 900 E Market Street in San Antonio, Texas. 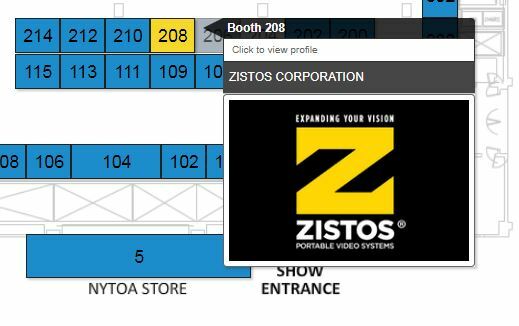 Once you arrive at our booth, you will have the opportunity to demo our SafeAir LadderTM and Confined Space Inspection Camera System. The best way to avoid hazards and the related expense of a confined space entry is to avoid the entry in the first place. 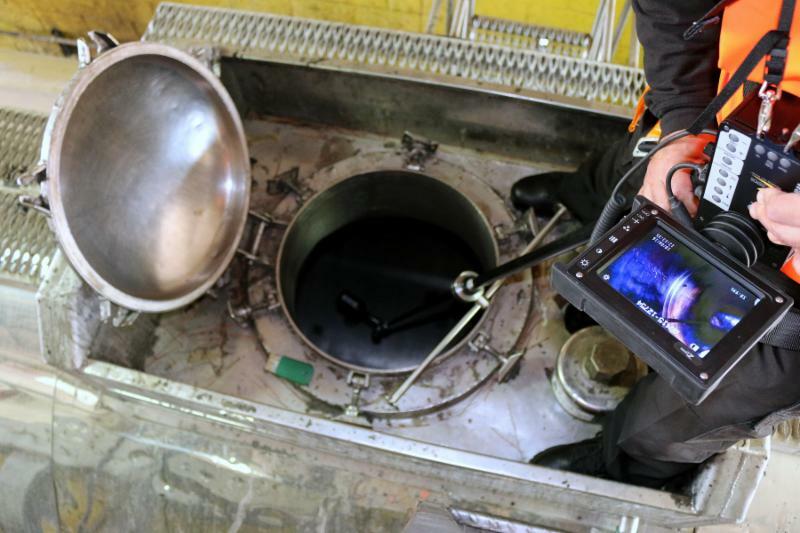 The Confined Space Inspection System is designed just for this purpose. 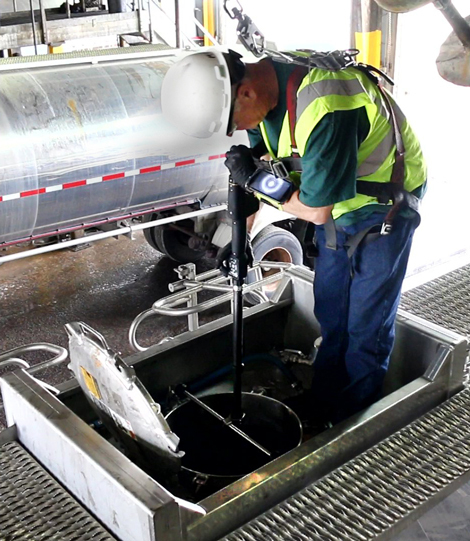 Instead of sending a person into the confined space, the system sits on top of the manway and the camera is lowered inside. The range of motion and 40x optical zoom functionality of the system allows for a thorough inspection of the entire interior. The system also includes our WalkAbout DVR which permits video and still images to be recorded. If you must enter a confined space use our SafeAir LadderTM to ensure a safe entry. The SafeAir LadderTM is designed to perform a secondary test as well as monitor and report environmental conditions inside of a confined space prior to an individual making an entry. 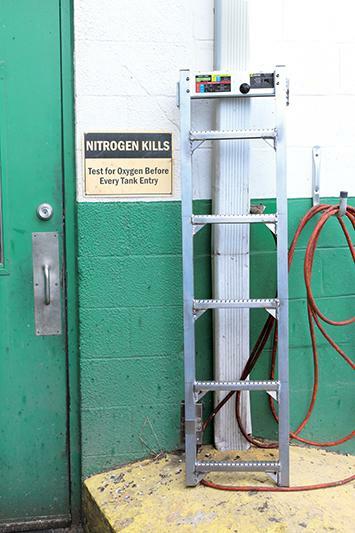 A gas metering sensor is mounted to the base of the ladder and is designed to be inserted into a confined space. The top of the ladder mounts onto the manway and has an integrated alarm console, which remains outside the space. The console offers a visual (Red LED – Hazardous Environment, Yellow LED – indeterminate state or malfunction, Green LED – Environment Safe) and audible indication of atmospheric conditions as communicated from the metering sensor at the base of the ladder. When activated and inserted into a confined space the ladder can alert a worker prior to entry, (and management), that the atmosphere inside of the space is or is not suitable to sustain human life. 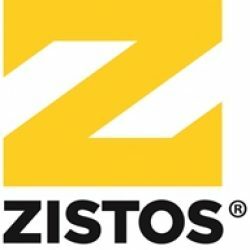 The Zistos Dual-View Under-the-Door Camera (ZDV) features two high-resolution, CCD camera chips that toggle from one to the other. It employs IR illumination, video-frame integration and an ultra-sensitive audio microphone. 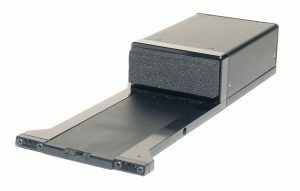 When inserted under a door, the first or forward-looking, sensor allows the user to covertly view 3 to 4 m (15 to 20 ft) into a dark room facilitating a quick assessment of hidden threats. Additionally, the camera can transition to a second sensor designed to provide a high-resolution image of the door knob and frame on the reverse of the door. 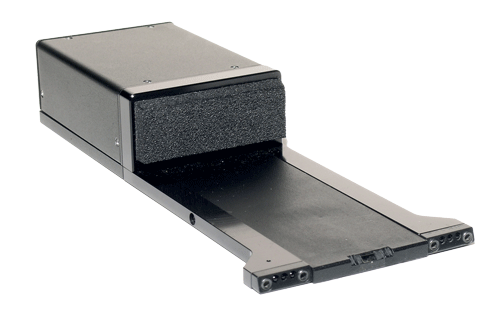 This feature allows users to assess if the door may be barricaded or rigged with an explosive. 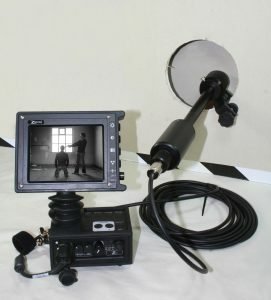 To ensure user safety, the Dual-View Under-the-Door Camera is supplied with a 6 ft (2 m) telescoping pole that allows the camera to be deployed and panned at a safe distance from the door. The ZDV is fully compatible with all existing Zistos tactical surveillance systems and other components.